Want to have a 5-star master chef to serve you personally, especially at your celebration and memorial dates or birthday? We are the one - Bon Appetit - YOUR PRIVATE KITCHEN! We serve not only French/Italian fine dining and Chinese cuisine, but also serve fusion food of all the above. Besides, our chef is keen at South Asia finger food and special desserts that you will not be able to find or eat in other private kitchens! 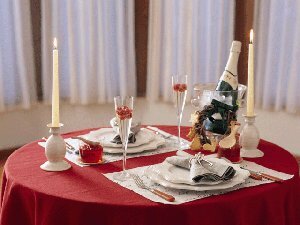 Ranging from Suprise Wedding Party, Christmas Party to Company Annual Dinner, festival celebration to memorable anniversary, rent the whole restaurant or even ask for catering service; regardless of a romantic dinner for 2 to a party for fun of 50, you shall enjoy our heartful arrangement! In our newly renovated home-feel and grand-feel dining rooms, with all the extraordinary decoration designed for your special events, enjoying the top quality fine food in the town, you shall find your parties unforgettable. Our new Private Kitchen has a balcony suitable for prattling and tattling with your intimate friends or beloved. You can even take a fine view of over half of the Kowloon Penisula through our French windows, sitting comfortably with fine food on your table, having secret gossips or open chatting! Just ask our specialist to design a memorable moment for your another half or your close friends! From our standard menu of delicious food to tailor-made menu suiting your taste and budget, you will find the superb place and food distinguished from all other private kitchens!